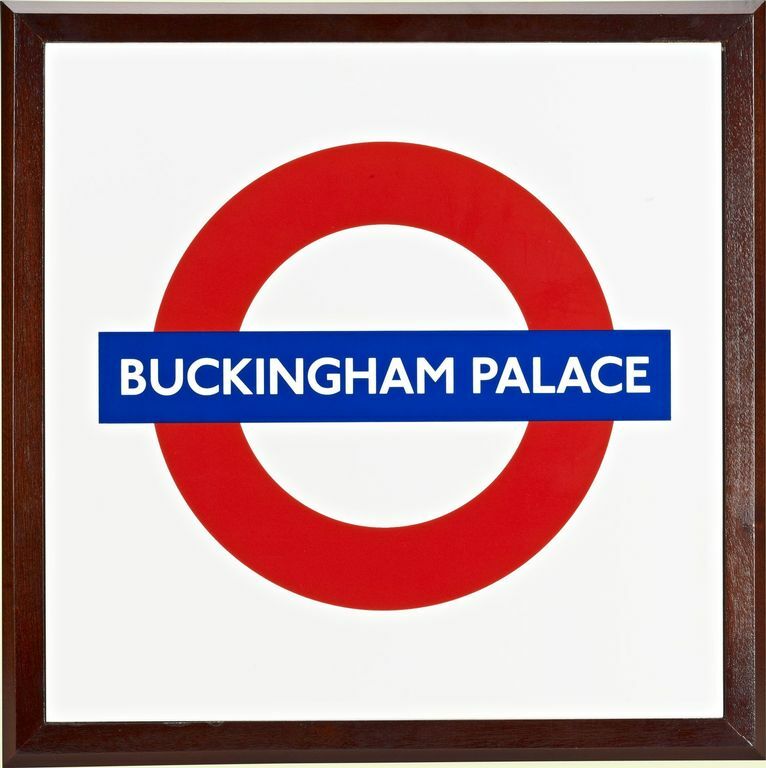 A square enamel plaque with the London Underground logo and inscribed BUCKINGHAM PALACE. Framed in wood. The first use of a roundel design was at St. James's Park underground station in 1908. The font has since been slightly modernised but the basic form of the red circle and blue name bar has remained. After the creation of Transport for London in 2000, roundels can be seen on buses, at bus stops and on the fronts of hire bicycles. A blue version is also the logo for Transport for London.